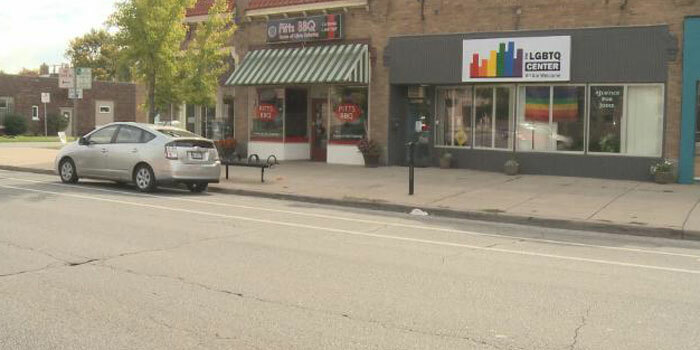 SOUTH BEND — An ordinance to protect the rights of the LGBTQ Community was put into place more than four years ago in the City of South Bend and now, the county is looking to do the same. The ordinance would help the LGBTQ Community from being discriminated against because of their sexual orientation. The first reading of the proposed ordinance is Tuesday night at the County Commissioners meeting. It’s still over a month until the ordinance would be accepted, but both sides are starting to voice their opinions on whether it should or should not be passed. “What we’re trying to do is extend the human rights ordinance from the city out into the county,” Diana Hess, St. Joseph County Council Member of District E said. Hess, Rafael Morton and Mark Catanzarite, all of which are Democrats, are co-sponsoring the amended human rights bill to include the LGBTQ Community, which Hess says could also benefit the local economy. Hess also says the backlash from RFRA in 2015 has cast a negative light on the state. So she hopes this ordinance will help show how welcoming the Hoosier State is. “I think what happened at State Legislature Downstate, when RFRA was passed and really put a black mark on the whole state as far as people feeling welcome and open for doing businesses with all people and welcoming to all business,” Hess said. Mangan is of the belief sexual orientation is a choice made by the LGBTQ community and says it goes against Christian morals. However, Eli Williams with the LGBTQ Center says this is all about equal rights for everyone regardless of race, gender or sexual orientation, so discrimination is not allowed in the work place. Williams also says the opposition to the LGBTQ ordinance is illogical. Williams is quoting well known feminist Paula Gunn Allen in the end of her statement. Williams says this ordinance would do wonders for all of the gay community in the area, especially the youth. The St. Joseph County Council will assign a committee to research the ordinance further. In November, they will have another meeting with public comment and will then vote on whether the ordinance should pass or not. No date has been set for that meeting.